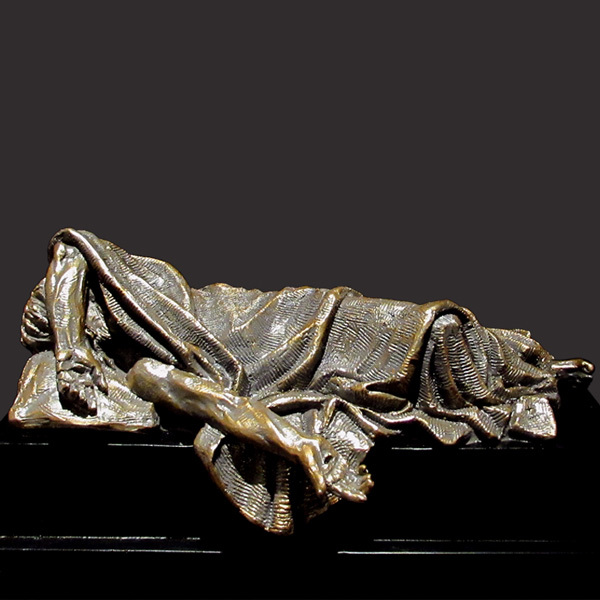 When I Was Sick by Timothy P. Schmalz is a beautiful Christian sculpture that makes a wonderful conversation piece in any church or home decor setting. 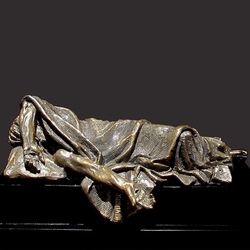 This sculpture challenges the viewer to see Christ is the suffering of the sick and infirm. Often these people are the easiest to overlook, since it's common to want to turn our eyes from disease or injury. After viewing “When I was Sick”, it is difficult to view the sick in the same way ever again. This solid resin-stone cast is coated in a realistic bronze finish and is mounted on a solid matt black base. Timothy personally sculpts every original small masterpiece complete with his signature or monogram. Each replica is detailed by hand to the exacting standards of this modern day master sculptor.